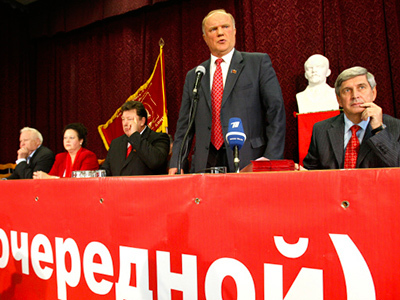 The unopposed Communist leader Gennady Zyuganov has said his party intends to win Russia's December parliamentary elections, describing the current situation in the country as “feudalism” rather than “capitalism”. 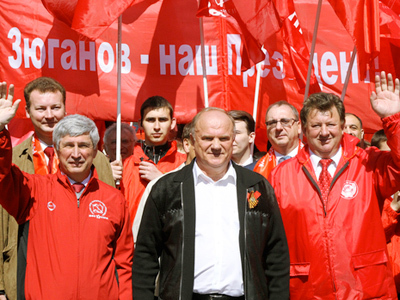 In an interview with Kommersant newspaper, MP Zyuganov said he believes that the Russian Communist Party (KPRF) has every reason to be aiming to win the State Duma election and leave the ruling United Russia party behind. Recalling regional elections in March, the politician said that in the Nizhny Novgorod region for example, KPRF got about 55 per cent of the votes, which is 27 percent more than the Putin-led United Russia. In answer to a question on what would happen to the KPRF if it got fewer votes than during previous elections, Zyuganov stated that it would be “wrong and tactless” even to ask about that. “You know people's moods perfectly well. The party will get more [votes]. Significantly more,” the Communist leader said. The party's task is to safeguard that outcome, and for that reason, the KPRF has already started training 500 thousand election monitors. This time, a new player will participate in the battle for seats in Russia's lower house – a recently created movement called the All-Russian Popular Front. 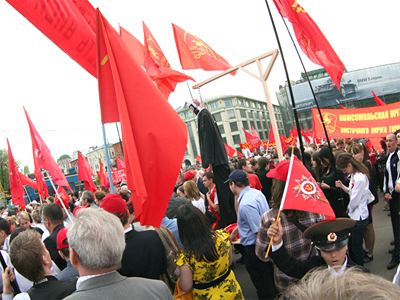 Led by Prime Minister Vladimir Putin, the Front includes members from United Russia, and has also gathered quite a large number of supporters, including businessmen, celebrities, trade unions members, youth's groups and even turncoats from opposition parties. 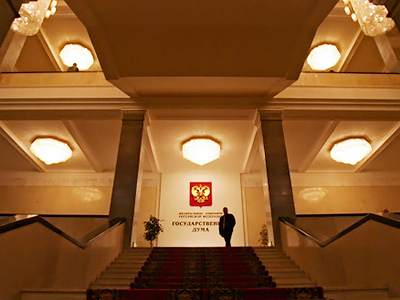 The novelty of the Putin-initiated idea is that United Russia will offer a share of its seats in the Duma to active members of the Popular Front, even if they are not members of the party. 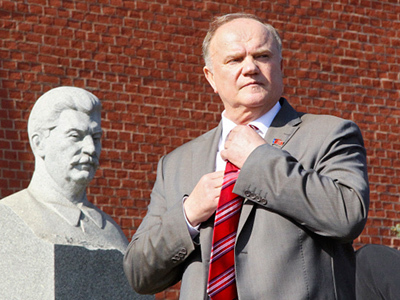 Zyuganov, though, remains quite confident that the Popular Front will not spoil the Communists' game. He recalled that over the past 20 years, the authorities changed their “jacket” every time “it had to answer for what had been done”. “I used to think that United Russia would be earnest and last for a long time. While everything was fine, they repeatedly stated that “We know how to do everything …we are responsible for everything”. They have adopted [a number of laws] without thinking of the consequences,” the Communist leader said. As a result, he went on, people have got neither any social benefits left, nor money to pay for healthcare and education. Now, following the March elections and on the eve of the parliamentary vote, United Russia got nervous and decided to “hide their backsides” behind the front. Despite a decline in popularity as compared to previous years, Putin still remains the most popular politician in the country according to opinion polls. A survey by Levada Center revealed that if the presidential election was held in June of this year, Putin would get 23 per cent of the votes, President Dmitry Medvedev would come second with 18 per cent of the electorate supporting him, while Zyuganov would be lagging far behind with only 4 per cent. The KPRF leader is confident though that his lack of popularity is only due to a lack of television airtime. “Give me a third, or a quarter of the time that is given to Putin, and we will see who will be more popular,” he stated. As for who would be his preferable rival at the presidential election in March 2012, Zyuganov said “Let them decide themselves”. At the same time, the politician believes that “an absolutely new course, new team and new government” would be better for the country. He did not clarify though, whether a return to Communist rule would constitute such a “new course”. 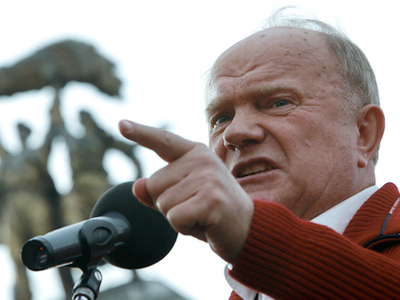 Zyuganov admitted that the USSR-style economy – when 96 % of the property belonged to the state – was wrong, and ultimately led to the collapse of both the country and the Communist party. He was certain that now things would be completely different, and private businesses would be allowed to work in all fields of industry. Criticizing the current situation, where the state still controls strategic fields of economy via state corporations, Zyuganov noted that it would be more correct to say that “entire sectors” were put into the hands of “close people,” or those friends, family members and associates of the authorities. “And that is not capitalism, but feudalism,” the KPRF chair observed. With ethnic clashes in Russia becoming more frequent, rising nationalism and xenophobia have become a headache for the government. 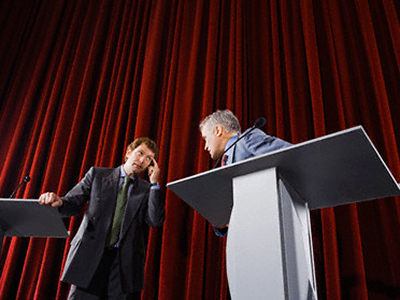 Political parties now often use the so-called “Russian issue” in their election campaigns. The KPRF, as well as the Liberal-Democratic party, are now both talking about the need to protect Russians. According to Zyuganov, 85 % of Russia's population consist of ethnic Russians, Belarusians and Ukrainians. “..It is our responsibility to build up relations so that there will be true friendship between peoples,” he said, adding that today people are split socially, nationally and in terms of their financial well-being. “Russians have found themselves in the most demeaning of positions. And that is while Russian culture, language, and traditions could provide a basis for integrity. That includes an ability to live together [with other nations], get on well, without destroying even a single language, culture or religion,” he pointed out. The KPRF leader also emphasized that the parliamentary election is now a priority task for the party, as plans for the presidential campaign will come later. “If we fulfill our potential at the Duma elections – that is one question. If we don't – it will be a different story. But I would like to reiterate that today, from the perspective of our party and its supporters, the future is better than ever,” Zyuganov said.